The wait is over and a new era begins for openSUSE releases. Contributors, friends and fans can now download the first Linux hybrid distro openSUSE Leap 42.1. Since the last release, exactly one year ago, openSUSE transformed its development process to create an entirely new type of hybrid Linux distribution called openSUSE Leap. Version 42.1 is the first version of openSUSE Leap that uses source from SUSE Linux Enterprise (SLE) providing a level of stability that will prove to be unmatched by other Linux distributions. Bonding community development and enterprise reliability provides more cohesion for the project and its contributor’s maintenance updates. openSUSE Leap will benefit from the enterprise maintenance effort and will have some of the same packages and updates as SLE, which is different from previous openSUSE versions that created separate maintenance streams. Community developers provide an equal level of contribution to Leap and upstream projects to the release, which bridges a gap between matured packages and newer packages found in openSUSE’s other distribution Tumbleweed. Since the move was such a shift from previous versions, a new version number and version naming strategy was adapted to reflect the change. The SLE sources come from SUSE’s soon to be released SLE 12 Service Pack 1 (SP1). The naming strategy is SLE 12 SP1 or 12.1 + 30 = openSUSE Leap 42.1. Many have asked why 42, but SUSE and openSUSE have a tradition of starting big ideas with a four and two, a reference to The Hitchhiker’s Guide to the Galaxy. Every minor version of openSUSE Leap users can expect a new KDE and GNOME, but today is all about openSUSE Leap 42.1, so if you are tired of a brown desktop, try a green one. Leap provides a balance between new and innovative and mature and downgraded. 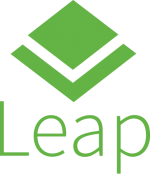 Leap offers that enterprise feel, provides modern hardware support and has intentional downgraded packages to reinforce the Long-Term-Support vision of Leap.Newer releases like KDE Plasma 5 and Libreoffice 5 are in Leap while other mature releases like GNOME 3.16 and GNU Compiler Collection 4.8.5 with the option of GCC 5.2 are in Leap as well. Leap has a further developed Btrfs filesystem as the default option and an XFS data file system for performance, but there are several other options to choose from. The benefit of Btrfs allows users to take advantage of Snapper. Users can recover the previous status of the system using snapshots. Snapper will automatically create hourly snapshots of the system, as well as pre- and post-snapshots for YaST and zypper transactions, which can be disabled. This new version adds the ability to boot right into a snapshot to recover from corruption of important files on the system (like bash). A powerful system and a powerful tool. Downloads of openSUSE Leap 42.1 can be found at software.opensuse.org. We recommend checking out the Release Notes before upgrade or installation. Users currently running openSUSE 13.2 can upgrade to openSUSE Leap 42.1 via the instructions at this link. openSUSE Leap 42.1 represents the combined effort of thousands of developers who participate in our distributions and projects shipped with it. The contributors, inside and outside the openSUSE Project, should be proud of this release, and they deserve a major “thank you” for all of the hard work and care that have gone into it. We believe Leap is a great release and will be a Linux distribution developers, sysadmins and users can depend upon! We hope you have a lot of fun using it, and we look forward to working with you on the next release! Leap carries the latest version of the Qt 5 GUI toolkit (5.5). Qt5.5 brings multiple features and enhancements for developers, but also for normal users, who will benefit from a large improvement in multi-screen handling and in QML (which is heavily used by Plasma). Builder is a brand new IDE, which is intended to make it easy to create GNOME applications. This initial 3.16 release is an early preview, which shows editing features, such as split view, snippets, auto-indentation and a VIM engine. Builder was backed by a successful crowdfunding campaign early in 2015, and there are big plans for the future. These include project management functionality, global search, version tracking, debugging, Glade integration, and much more. openSUSE Leap 42.1 is full of virtualization solutions. QEMU 2.3.1, VirtualBox 5.0.6 and Docker 1.8.2 makes openSUSE Leap 42.1 a perfect base system to distribute applications. Set up is easy with YaST, so you’ll be able deploy solutions quickly and easily. GNOME boxes, virt-manager, and virsh are also useful to sysadmins using openSUSE. openSUSE Leap 42.1 is the first stable openSUSE release to include KDE Plasma 5 (version 5.4.2) as the default desktop environment. Plasma 5 is now mature enough for a wide audience to enjoy this beautiful, feature rich, innovative and performant desktop. The 5.4 version of the workspace introduces a new audio volume applet, a full-screen dashboard menu, many new icons (more than 1600 added) and improved High DPI support. Some minor “papercuts” from the previous releases have also been fixed, for example additional date formats in the clock or improvements in Folder View behavior and visuals. openSUSE Leap 42.1 ships with GNOME 3.16.2. The GNOME 3.16.x branch has been released in April 2015 and received multiple bug fix iterations, making it a well tested and stable version to supplement the rock-solid SLE12 base system. GNOME 3’s visuals have been updated for 3.16. The Activities Overview, login screen, system menus and other system components have been given a new, more contemporary look. The new visuals are designed to integrate with the visual style of GNOME applications, for a more seamless experience. 3.16 has a new style of scrollbar for GNOME 3. Instead of being shown all the time, these new overlay scrollbars are only shown when needed: a small scroll indicator is shown when the pointer is moved, and a larger bar appears when control is wanted. openSUSE Leap 42.1 includes MATE (1.10), which provides support for both GTK2 and GTK3 toolkits, added support for 3.x GUI toolkits and improvements in Audio Mixer Library. openSUSE Leap 42.1 also ships with XFCE (4.12.1). The XFCE panel can now intelligently hide itself, supports GTK3 plugins, and saw lots of its third-party plugins updated to take full advantage of the features added in 4.10. Enlightenment 19 (0.19.12) ships in openSUSE Leap 42.1 and can now unshade clients when they’re activated, updates the X11 compositor to use damage events, and updates the icon theme search list for the wizard. * (Not translated) – Details about Power 8 (ppc64le), and ARM (AArch64) in openSUSE Leap 42.1 will be released at a later date. Started downloading . . .
For sure will be a great release!! But I will continue rolling with Tumbleweed!! Leap & Tumbleweed = Rock & Roll ! Congratulations from India for this big release! Looking forward to it! Where is the x86 download and the live cd download? 32bit is dead. Get on with the times. Sosialt nett its open all days: 12:00 – 01:00. ……Time zone Sweden. Thanks for a wonderful distro. Have used openSUSE 13.2 a longer time. Now I installed openSUSE 42.1 and is very positive surprised what I see. Great work, good publicity will be given you on sosialtnett.tk soon. Also waiting for the Leap in SUSE Studio! I personally prefer a very minimal system so Studio is best for my purposes. Congrats, can’t wait to upgrade our laptops. Separate question; is the (l)amp stack more advanced or less advanced than that supplied with 13.2? I thought I saw some indication that 42.1 was shipping php 5.5.x (rather than 5.6.x), and wondered if the same applied to mariaDB and apache. Thanks to all developers whoever involved in this hybrid version. Going to upgrde my system openSUSE 13.2 to openSUSE Leap 42.1. Will give a update once i have done my upgrade. Once again thanks to all. Are server-oriented packaged considered “userland” or will they not be getting updates as quickly as the desktop applications? So far looks very stable (after ditching nouveau in favour of the proprietary drivers – nouveau still does not work stably in dual-head configurations. First attempt was with ‘zypper dup’. This failed miserably – it discarded my network configuration (easily fixed), but I could not recover my X desktop. I finally decided to just re-install, all was well (see above). The boot-loader installation takes a very long time (got fed up with waiting and took break). Is this being addressed? I have seen it criticised in some reviews. After installing LEAP in a VM (VirtualBox, latest), it simply freezes after restart. Nothing happens. On every restart. I was forced to power off the VM. This reminds me of the W98 blue screen. does vbox support kde5 yet? It does support VB, but you have to turn off the 3D acceleration. I’m impressed! this is great! I liked it so much I wiped my hard drive clean (to remove windows) and installed openSUSE Leap as my only Operating System. running lovely out-the=box on my test machine. looks great, and no stutter on my 15W kabini APU. however, Leap doesn’t appear to know what to do with an .rpm file. whether running from browser download, or clicking on the .rpm file after download Leap looks mutely back at me, doing nothing. is this ‘expected’ behaviour these days, or is this buggy behaviour? Ok that’s great, congratulations!. but when will you update the photo of laptop on your homepage http://www.opensuse.org/ the picture is still showing screen shot of 13.2 which can leave wrong impression on visitors. Does it mean, that applications certified for SLES 12 will be possible to run on openSUSE 42.1 witjhout any problem??? Yes or Not??? After trying it out for a day in dual boot with kubuntu i wiped my disk and installed openSUSE leap as my main linux distro. I am super impressed. Everithing works, looks good, and cared about fantastic effort suse team. hope you keep improving with packages and i can be dedicated openSUSE user for life. No luck here: WLAN n/a for NET install. Tried it from DVD, but was asked to file a bug. Cannot be bothered, back to 13.2, over and out. I rest with 13.1 and 13.2, except for improvements. > … if you are tired of a brown desktop, try a green one. Since when previous releases are associated with brown? As far as I remember, openSUSE was always about green — with the default color scheme and wallpaper tint, not to mention the logo.